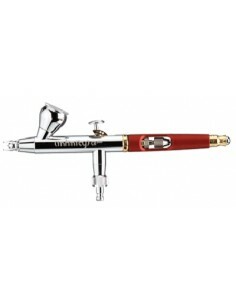 The infinity CRplus features a triple coating of copper, nickel and high-gloss exterior chrome plating. The Infinity CRplus.Due to an innovative long life needle seal and PTFE seals to the cup screwing and valve the infinity has a safe protection against unwanted air and color output also in the application of solvent-based paints. 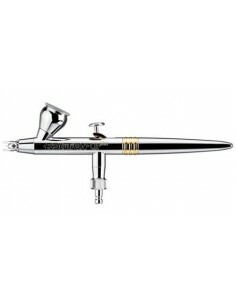 The Evolution CRplus combines elegance with maximum robustness, it has a high-quality triple coating with a chrome finish. 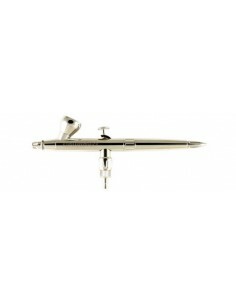 The Evolution CRplus is moreover fully solvent-resistant, and equipped with PTFE seals to the nozzle, needle, cup joint and valve. 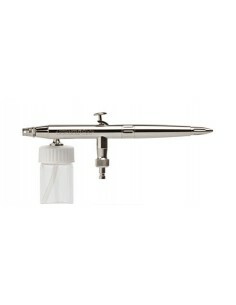 The Ultra airbrush is a beginners instrument from Harder & Steenbeck. 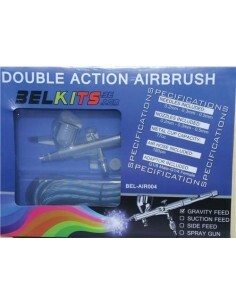 The double-action instrument is available in two versions as a gravity or suction feed system.The Ultra airbrush is equipped with a 2 ml cup and fine 0.2 mm nozzle. 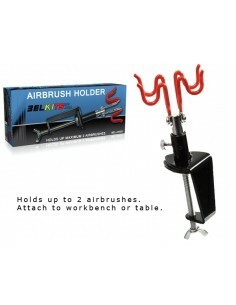 The instrument can also be optionally expanded with a 0.4 mm nozzle and a larger 5 ml cup. 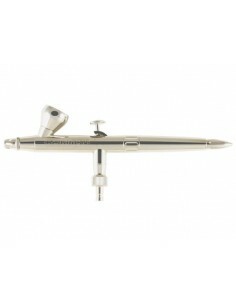 The Ultra airbrush is a beginners instrument from Harder & Steenbeck. 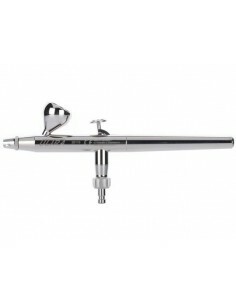 This airbrush is double-action instrument is has gravity feed system.The Ultra airbrush is equipped with a 2 ml cup and fine 0.2 mm nozzle. 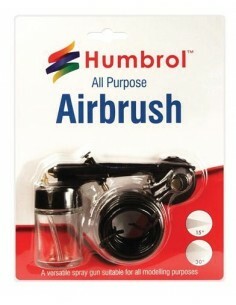 The instrument can also be optionally expanded with a 0.4 mm nozzle and a larger 5 ml cup.